So glad it's fringe friday!! watching live. woohoo! Super excited. 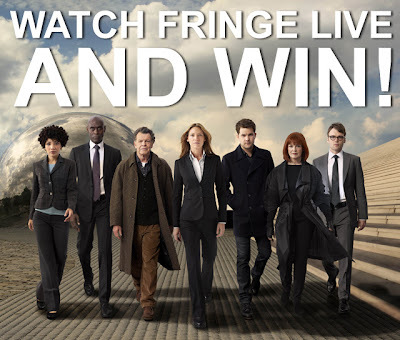 Fringe is one of my favorite shows! Just up Walter's alley -- brain experiments! Glad to see the mention of them making the bridge without Peter. And love Walter not remembering Lincoln and calling him other presidents! It is the Fringe effect. watching live. walter calling lincoln "kennedy" was priceless. Always love it when I can catch fringe when it airs live! Which is unfortunately very rare... But not tonight!!! Yay!! Fringe Friday!! This is my absolute favorite show...look forward to it all week! Anyone else love how that final note of the theme song goes straight into the following scene? That's how it was for early season 2 iirc, and I'm so glad they brought it back. ...And it somehow took me two commercial breaks to finish this comment. There are even more questions than answers this season! Love the Memorex Chair ref Scene. I miss Peter! Can't wait to see it unfold! OMG Olivia killed her stepfather in this version!? Really digging the Mozart movement Walter was listening to in this episode! Headed to youtube to find it! Thanks for putting this together. Fringe is a fantastic show!